As a blended family, we have a mish-mash of household items, including holiday decorations. 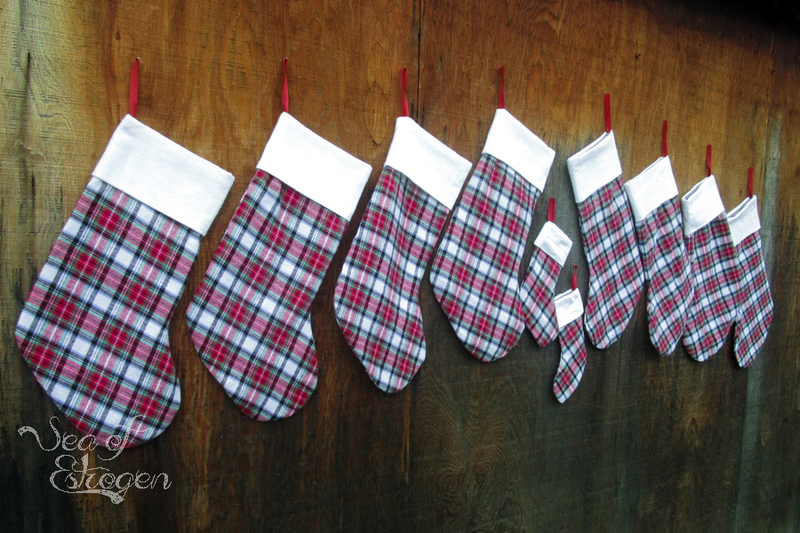 One thing I have really wanted to do is make stockings for all of us to hang in our home. 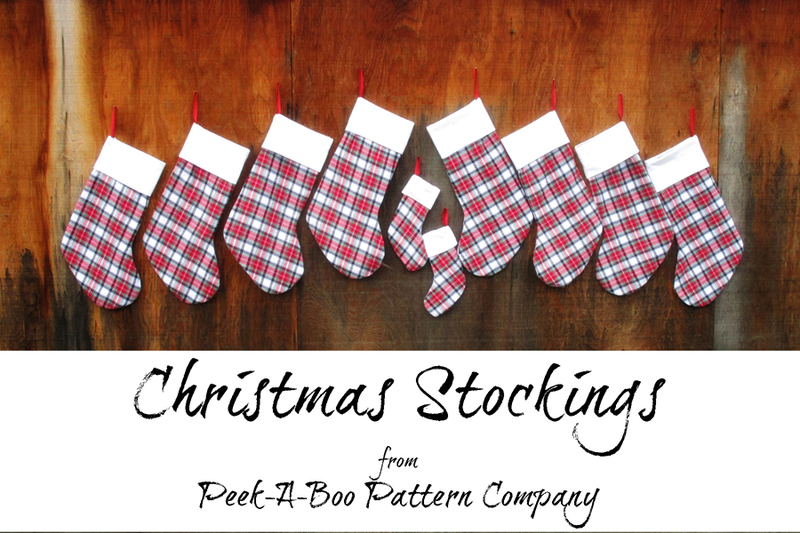 I ran across the Free Christmas Stocking Pattern at Peek-A-Boo Pattern Shop early this summer and decided this would be the year for new stockings. I raved about Peek-A-Boo Pattern Shop the other day in the Pemberley Pullover post, and I am back to rave some more. The fabric I used is some Todd and I found at fabric.com earlier this Fall. 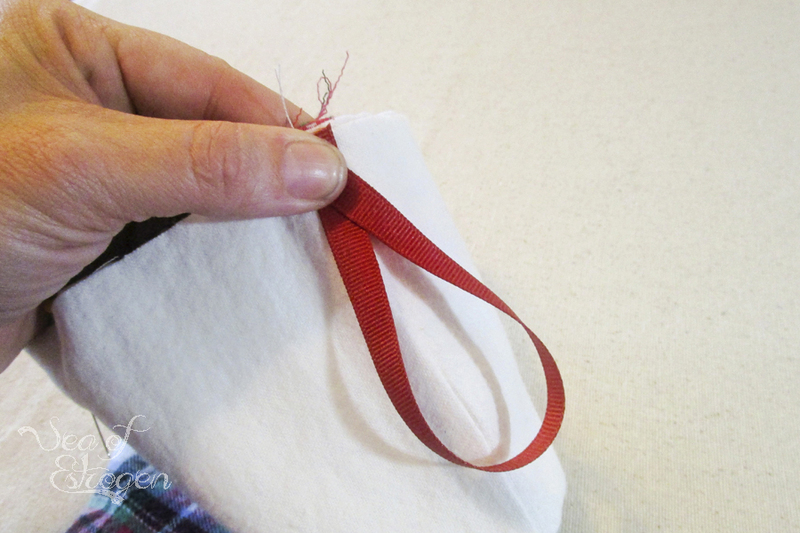 Amy has written a tutorial with excellent instructions and pictures. The pictures and steps are clear, concise, and easy to follow. 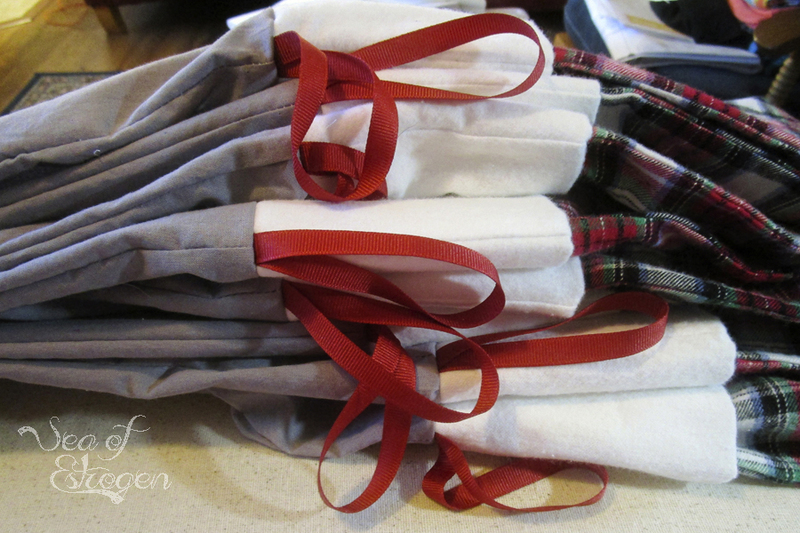 I treated the stockings much like an assembly line process and completed each step on each stocking before moving on. I feel like that helped speed up the assembly process. 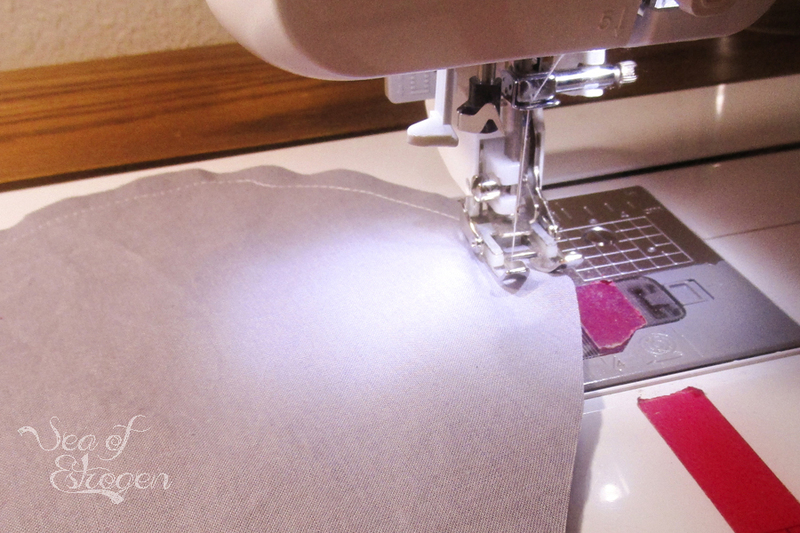 Before doing any cutting or sewing, I pre-washed all of the fabric I was using. Stockings don’t generally get very dirty, but I wanted to be able to wash them in the future (especially with the white cuffs) without worrying about them shrinking unevenly. 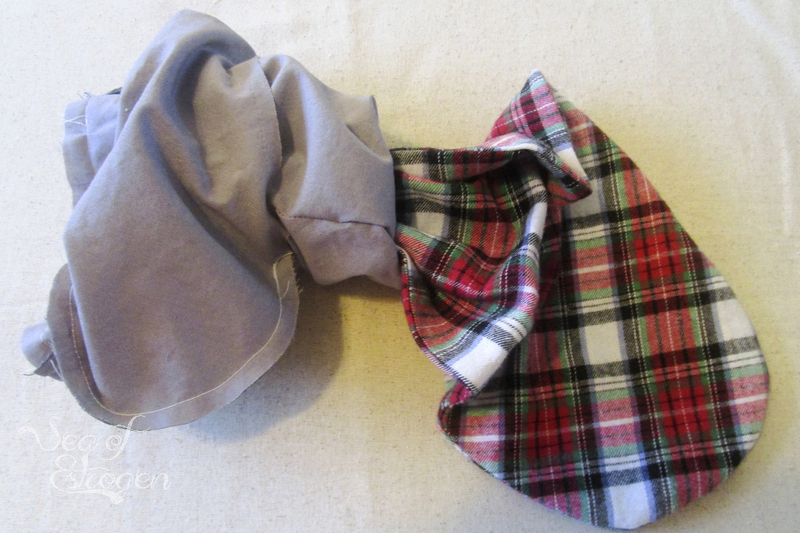 After washing and drying the fabric, I folded the fabric right sides together. I matched the selvedge edges and lined the plaids up as best as I could. I used a standard Sharpie pen and traced around the pattern eight times. One stocking for each of us, including Emma’s husband, Jordan, with one extra. Normally I would never use Sharpie on a sewing project, but since the fabric already had some black lines and I marked the wrong side of the fabric I wasn’t too worried about it showing. I actually had a difficult time seeing the drawn lines to cut in a couple of places. I didn’t take nearly as many pictures of these steps in the process as I should have. 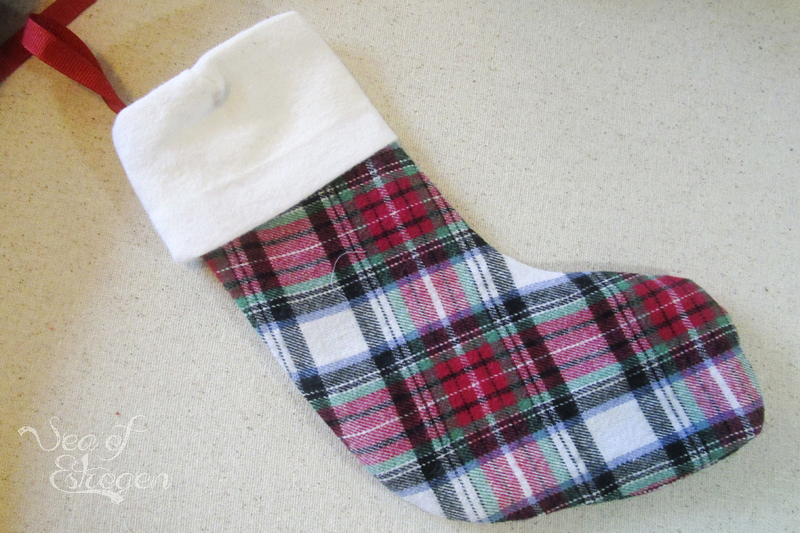 After cutting out all the pieces, I sewed around the entire edge of the mail fabric stocking, leaving the top open. 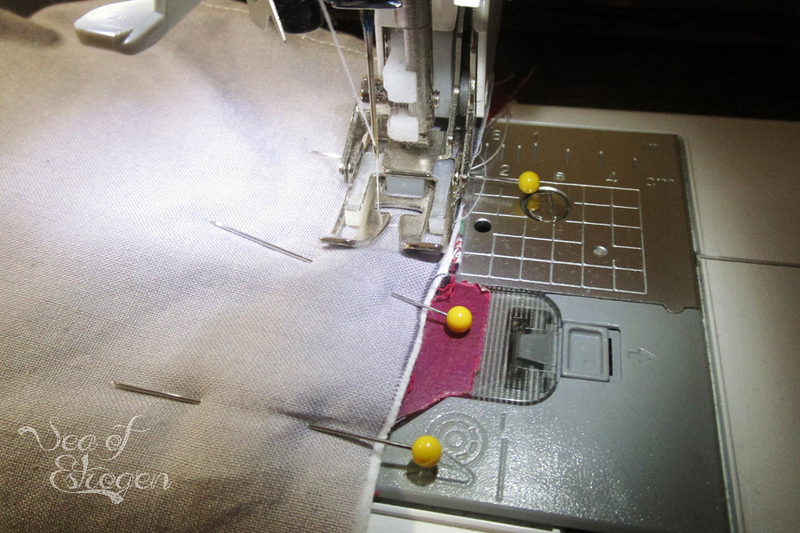 I also sewed around the edge of the lining pieces leaving the top open, but also leaving a gap open in the toe for turning later. 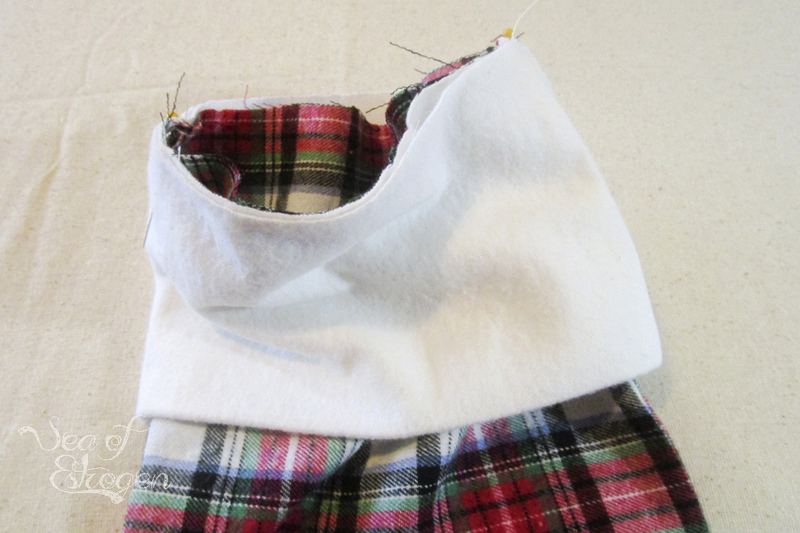 The cuffs were sewn along the short edges into a tube, and then folded wrong sides together and pressed. 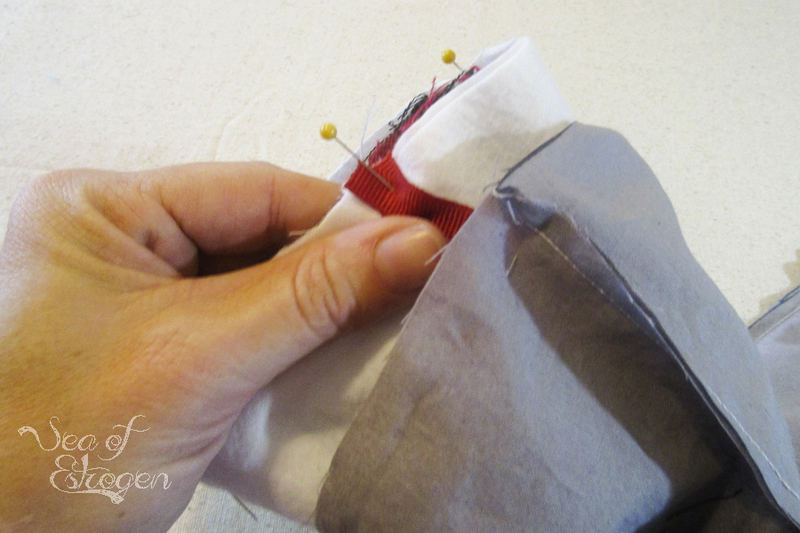 The first step in the assembly process is to slide the cuff down over the main fabric with right sides together. 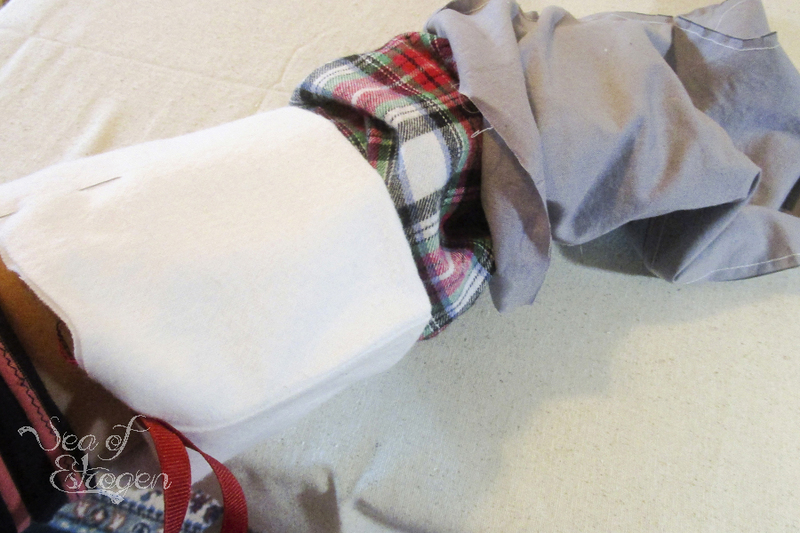 I aligned the seam in the cuff to the seam along the “back” portion of the stocking. 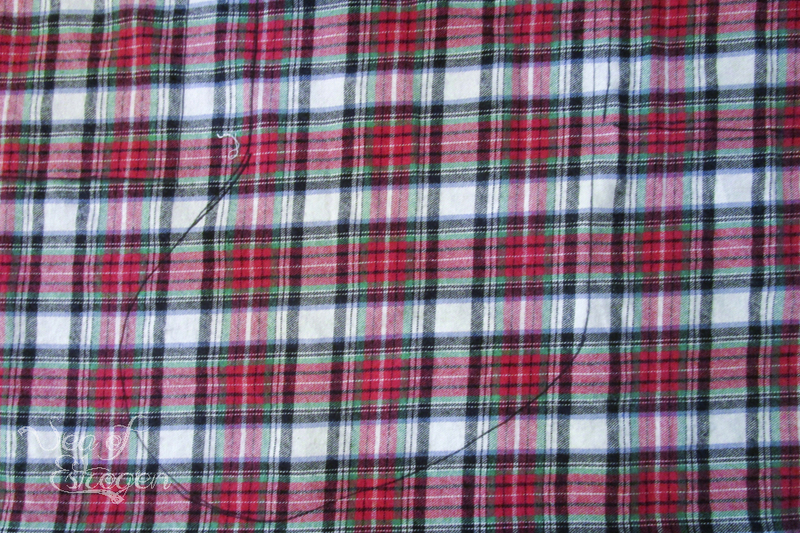 After aligning the fabric, I pinned the ribbon hangers to the back seam, as well. I included a little half twist in the ribbon to add a minor, but fun detail. I secured the cuff and ribbon to the main fabric with four pins temporarily until I got the lining added. 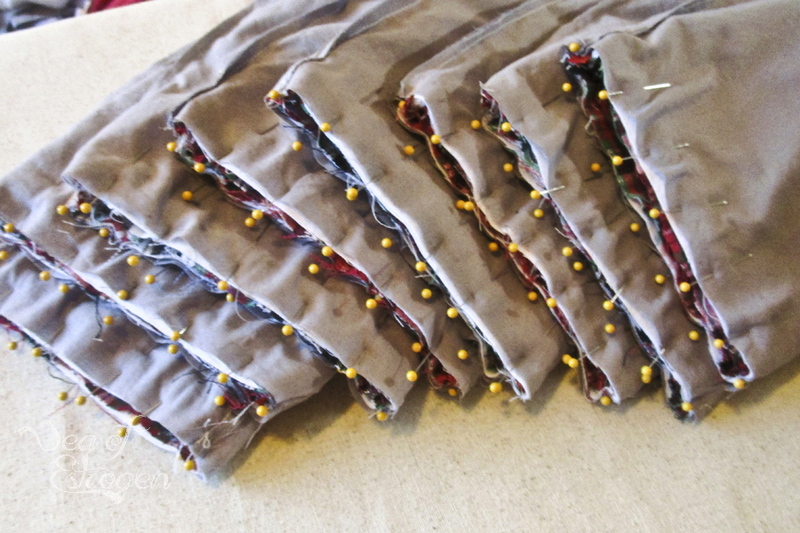 All eight stockings pinned and ready to sew! Stitch around the entire top of the stockings. Remove pins as you go, rather than sewing over them like I did; it’s a horrible habit. At this point, the broadcloth was wrinkled horribly, but since I was going to be manipulating it a bunch more I didn’t press it just yet. Turning the stockings was very easy. I just reached in through the gap I left open in the toe of the lining fabric and pulled the main fabric and cuff out through it. 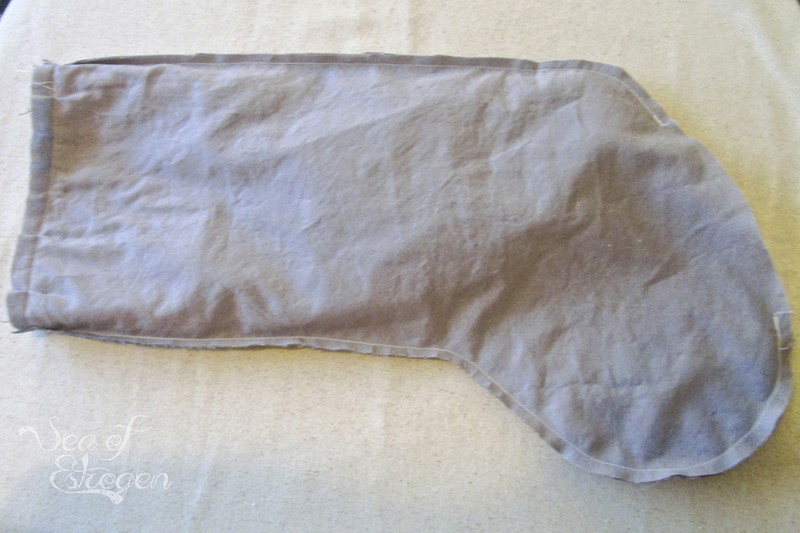 At this point, I pressed the lining to clean it up a bit and to help align the seam on the gap to be sewn closed. The stockings looked great at this point, even though they weren’t finished. 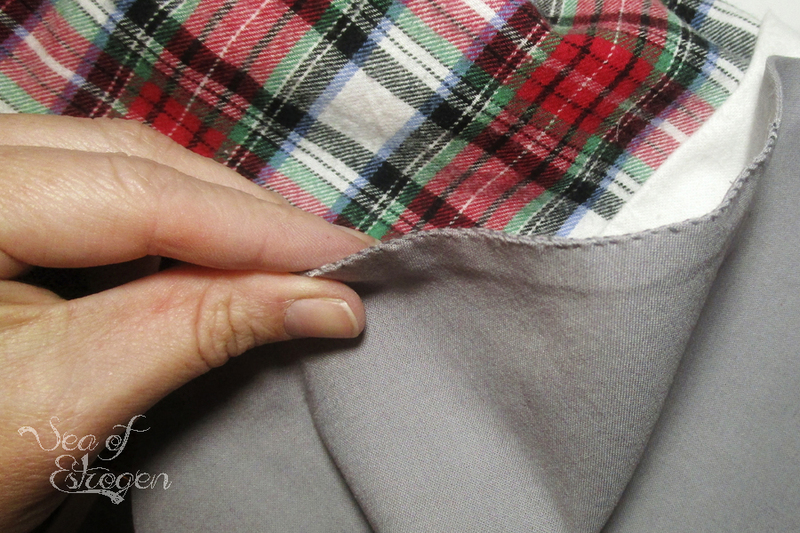 Either edge stitch or hand stitch the gap closed in the lining fabric. I hand stitched one and then decided that I wasn’t patient enough to finish all the stockings that way and edge stitched the rest. 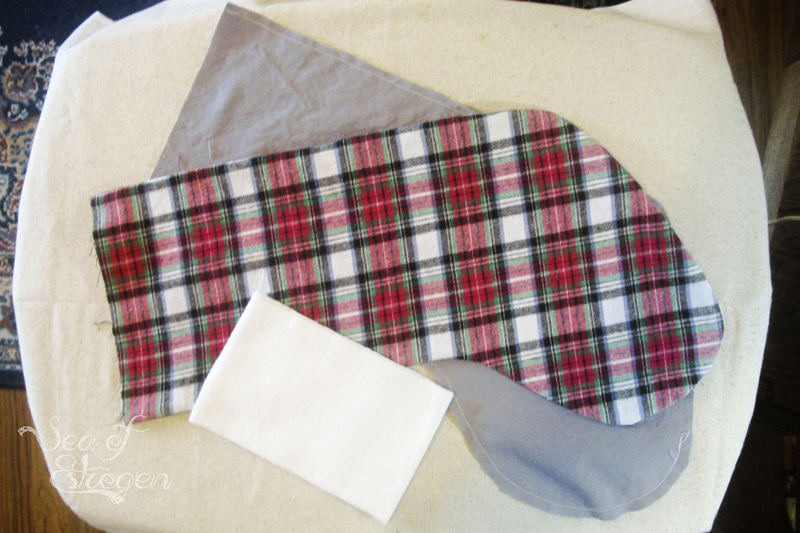 Finish the stocking by pushing the lining down into the main fabric. This took a little manipulation and work – again, I think more because of the friction from the flannel more than anything else. 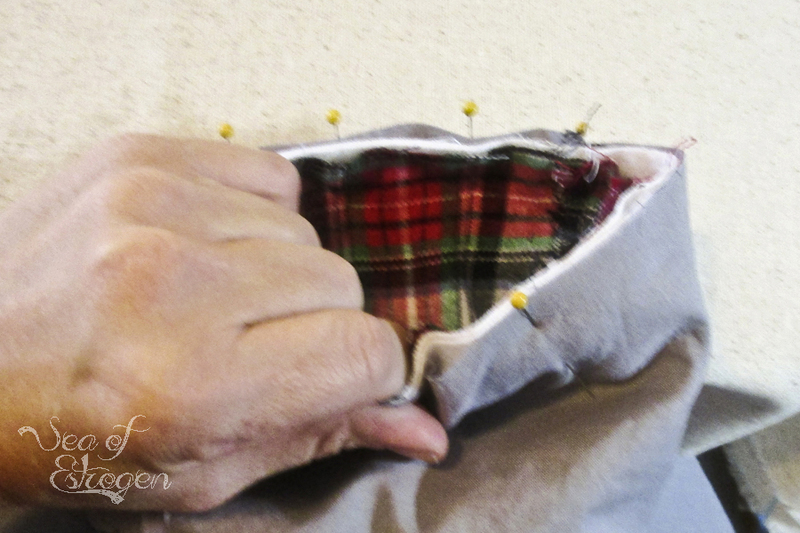 Once the lining was in place, I turned the cuff over to the outside and pressed the whole thing. Voilá! Finished! We have two fur babies – dogs named Lium and Pip. 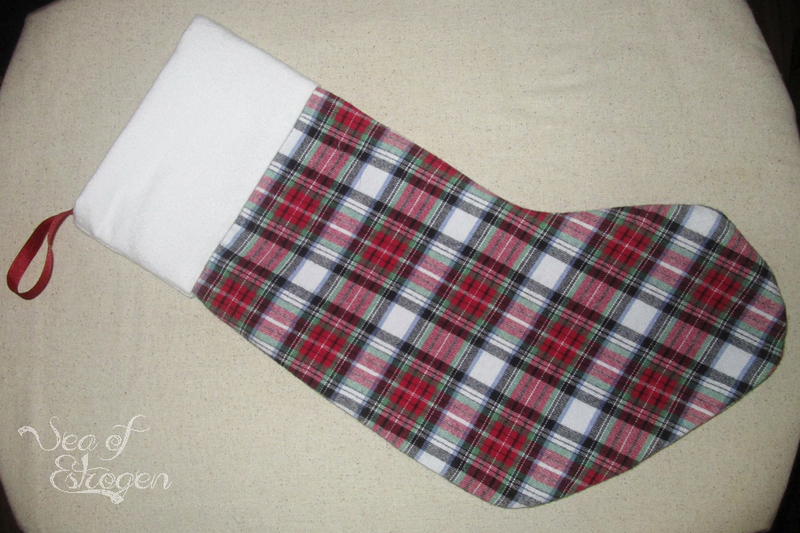 Lium is a Jack Russel and Pip is a Chihuahua, and we couldn’t possibly have new stockings without them. Luckily, I had enough fabric leftover that I was able to make each of them one, as well, albeit, smaller. 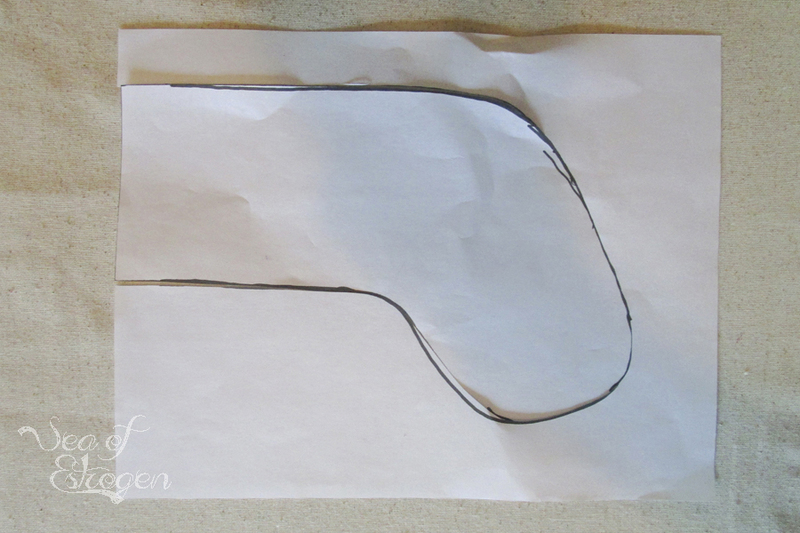 I drew a stocking shape free-hand on scrap fabric and used it as my pattern. I followed the same steps as the full-size stockings. The only thing I wish I would have done is make the neck a little wider, it was difficult turning the stockings with my big hands in those tiny necks. Our stockings are finished except for names. For the dogs’ stockings, I am going to make a string of lettered beads with their names that will hang down from the same spot the ribbon attaches. I haven’t quite figured out how to add our names yet. I thought of embroidering them, but I am not very good at it. Iron-on vinyl is another option I have considered, but I’m not sure that would look very good. As of right now, I’m leaning towards using stencils and fabric paint to put our initials on them instead of our full names. Do you have any suggestions? Are you making any new Holiday items for your family this year? This is the eighth project I have finished for the Quarter Four Finish-A-Long group. These turned out so good! 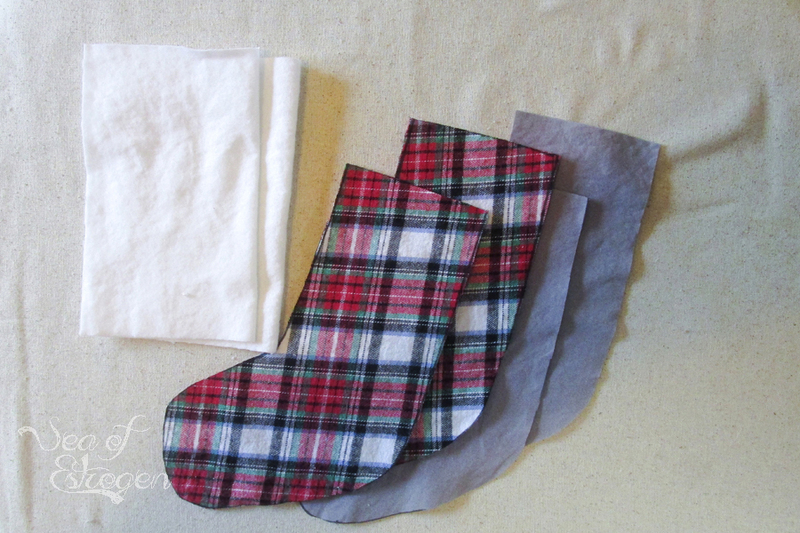 Love the idea of making your own stockings! Thank you! 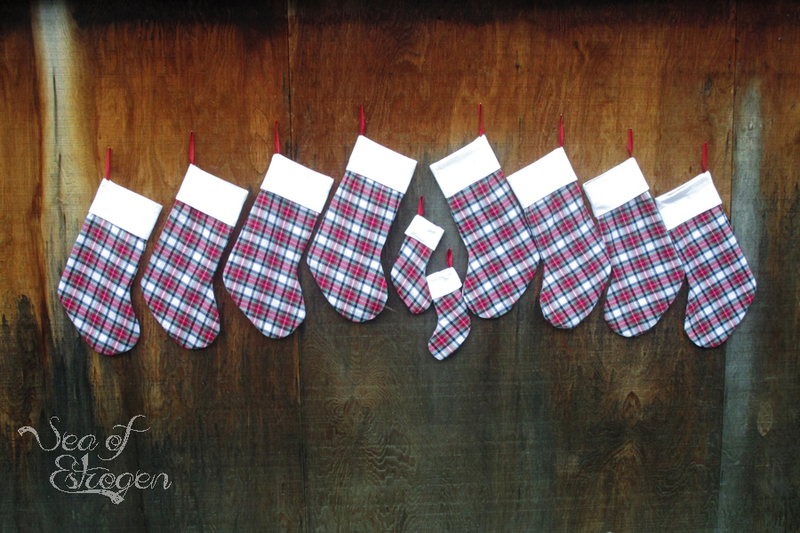 I liked the idea because our stockings were all a smorgasbord of whatever we had at one point in our lives.